notice the delightful dancing flame pattern! The Avance has high level controllability with a fast response for high and low burn. The most ideal setting will quickly be found moving the slide slowly to find the most suitable position. Using the correct rate of burning, efficiencies of up to 81.2% burning wood logs can be achieved. The stove flue exits to fit a 5" (125mm) diameter fluepipe. 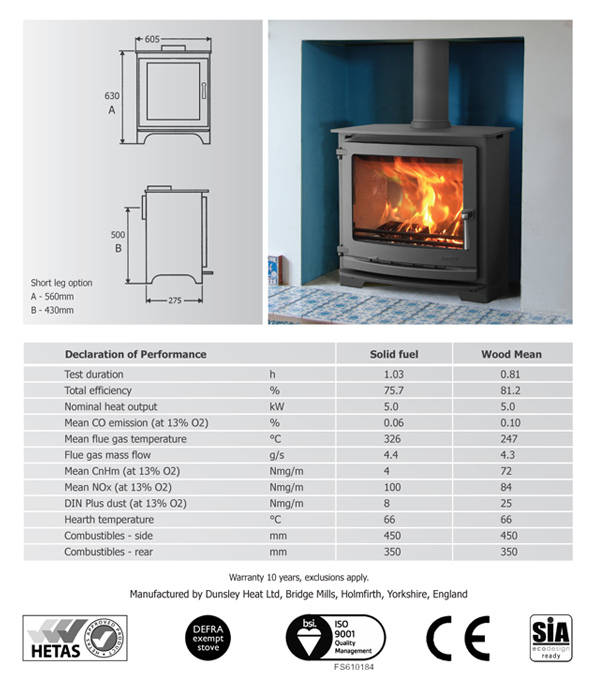 The 5kW output of the Avance can vary between 2.5 - 7.5kW depending on weight and type of wood being used. 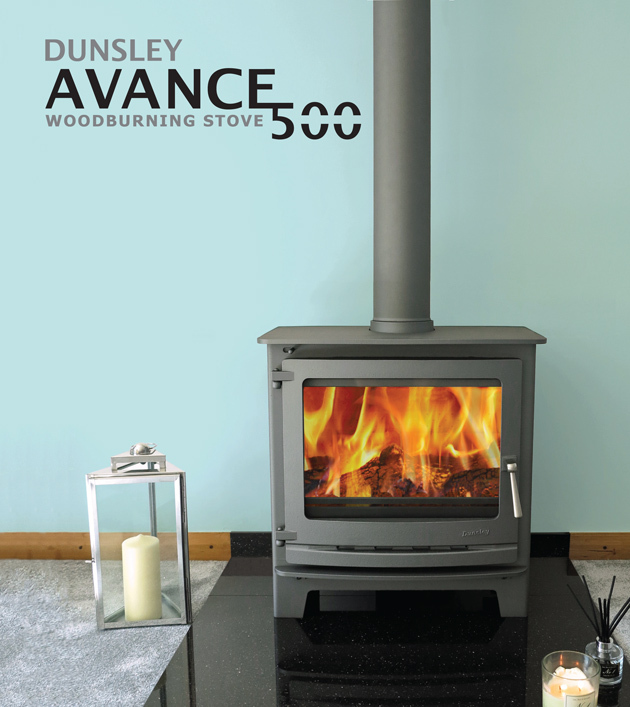 Wood burning is standard on the Avance however a solid fuel kit is also available as an extra for burning smokeless fuels. Click below to see sample paint colours.